Choose a country and look for its laws, form of government, and more. From the Cornell University Legal Information Institute, find laws by country and topic. The World Legal Information Institute (WorldLII) is a free, independent and non-profit global legal research facility developed collaboratively by the following Legal Information Institutes and other organisations. Martindale-Hubbell directory of lawyers in the United States, Canada, and around the world. Cases, rules of court, documents, jurisdiction and more. The International Court of Justice acts as a world court. The Court has a dual jurisdiction : it decides, in accordance with international law, disputes of a legal nature that are submitted to it by States (jurisdiction in contentious cases); and it gives advisory opinions on legal questions at the request of the organs of the United Nations or specialized agencies authorized to make such a request (advisory jurisdiction). Checklist and instructions are found here from the United States Department of State from the Hague Convention concerning child abduction. International cooperation of police: wanted persons, missing persons, member countries, resources. Newton Teens Win Library of Congress Data Challenge for their interactive U.S. Treaties Explorer. Prehistoric and Ancient Europe to modern Europe, including the Vatican. United States Treaties In Force, downloadable PDF document. Draft Marrakesh Treaty to Facilitate Access to Published Works for Persons who are Blind, Visually Impaired, or otherwise Print Disabled, in English and four other languages. Entered into force June 16, 1957.
International treaties, agreements, courts and tribunals, topical issues and legal assistance. Preamble and 30 Articles regarding the United Nations' Universal Declaration of Human Rights. From the United Nations Dag Hammarskjöld Library, this page is "United Nations Documentation" on the various courts and tribunals, including the International Court of Justice ("World Court"), treaties and commissions. The legal page for the United Nations. Answers to Your Questions About Cruise Ships and Liability Under Admiralty Law. 1,500 annotated links include codes, rules, court opinions, law guides, marine insurance, and more, this site has been recognized by the Cornell University Law School Library. EU database listing approved additives in food for consumers and animals. European citizens need to have access to safe and wholesome food of the highest standard. 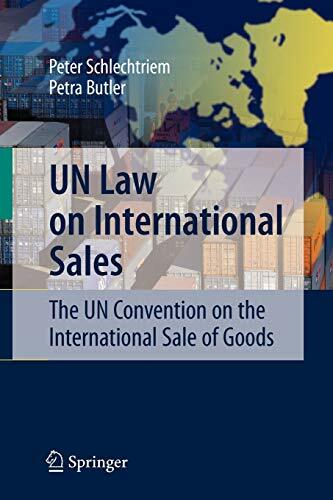 This book describes and analyses the rules and provisions of the United Nations Convention on the International Sale of Goods of 1980 - CISG-. 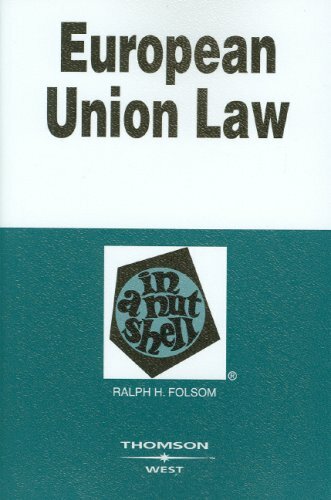 Since its coming into force in 1988, thousands of cases have been decided in more than 70 states that have enacted the Convention, and it has become the subject of courses and classes in International and Commercial Law in the curricula of law schools and other institutions throughout the world. This reference guide provides information and critical examinations of 50 issues debated in United Nations history. These include human rights, Cold War clashes, and regional and local conflicts (most recently Kosovo). Entries are arranged in chronological order based on their first appearance on the UN agenda. Each entry consists of four narrative sections covering the significance of the issue, the historical, social, and economic background of the issues, the history of UN debate and intervention (as well as the positions of various nations), and the outcome of each debate. 32 subject areas and easy to understand! Click on a category, or use the search bar if you can't find your topic. Migrating to the EUR-Lex portal. Choose a country and get information as available for free or fee. "The following glossary contains 233 terms relating to European integration and the institutions and activities of the EU." A treaty is a binding agreement between EU member countries. It sets out EU objectives, rules for EU institutions, how decisions are made and the relationship between the EU and its member countries. I'm moving abroad in Europe – how do I get a residence permit? What are the rules on roaming charges? My flight's been cancelled - what are my rights? What EU grants can my organisation apply for? For the answers to all these questions and more, contact Europe Direct central information service. If you're looking for advice or help in your neighbourhood, or for a local forum promoting dialogue and awareness about EU policies, contact your nearest local information centre. Mission, activities, case law, legislation, speeches, documents, treaties. Fundamental law of the Vatican City State, Codes of Canon Law, Executive (The Holy See), tribunals (civil and criminal), Parliament (unicameral Pontifical Commission), plus legal guides. The Vatican City State, its laws and legal structure, linked through The Library of Congress. Folsom's European Union Law comprehensively introduces this important area. It analyzes critical developments and emphasizes the external impact of European law. There is a summary of the history and growth of the European Union, and lawmaking in Europe. This Nutshell explores litigating European law, free movement, and internal policies. It also discusses EU international trade and business competition law. 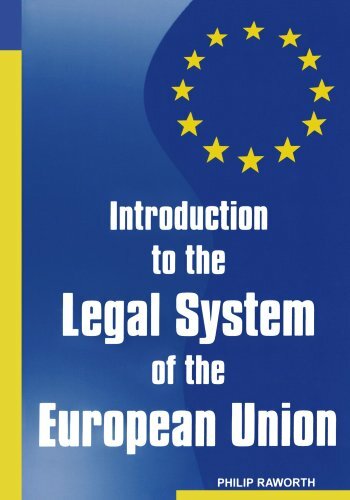 Detailed characteristics that make up the European Union The text analyzes the legal order of the European Union, dealing with the issues of jurisdiction, the particular characteristics of Union law, the composition and instruments of formal and informal Union law and the autonomy of the Union legal order.